The purpose of this document is to provide the step by step information about enabling the Form Based Authentication (FBA) for MOSS 2007 site. The purpose of this document is to provide the step by step information about enabling the Form Based Authentication (FBA) for MOSS 2007 site. MOSS 2007 sites uses windows authentication by default. But some business needs form based authentication to fulfill the requirements. Below section explains to enable Form Authentication for MOSS 2007 site. This section explains creation of database which is used to store user's information such as credentials and roles which is used for Form Authentication. This section also explains the configuration of Membership and Role providers in the web.config file and creation of users using ASP.Net configuration wizard. This article shows creating a user and which will be used for testing Form Authentication later. In the previous section, database is created successfully. Now we need to add a user in to database. Using ASP.Net Configuration Wizard, users can be added the database. This can be achieved by creating web site that will allow us to add the users and roles and also ensure the database connection strings, membership and role providers are correctly configured before we bring Sharepoint in to equation. Below steps explains creating web site and configuring membership and role providers and executing ASP.Net Configuration Wizard. In the above image, location shows Z:\Inetpub\FBA. This is because Sharepoint server root directory is mapped to my system as Visual Studio 2005 is not installed in server machine. You can choose any location whichever is comfortable for you. I have mentioned server as EC4-NETP-148429. This is the server in which SQL Server 2005 is installed. Please mention the respective server name. One thing we need to make sure that is, the provider name and connection string attribute specified in the web.config file should not be same as specified in the machine.config file. When we install .Net Framework 2.0, default connection string and providers are specified in the machine.config file. At this point, we configured web.config file with connection string and providers information. Also we tested the providers with the database. Next section will explain adding users to database. Now we have created a user successfully. Do not worry about creating roles at this time and will be explained later. This section explains creating web application using Sharepoint Central Administration. In this article I am creating two IIS web sites; one is extranet site which will be used by the content owners and configured to windows authentication. Another site is internet site specifically for internet users and configured to form authentication. Below section explains creating of two sites. Before creating new site, we need to create new web application. Below is the step by step information for creating new web application. a) Click Start à All Programs à Microsoft Office Server à Central Administration. b) In the Application Management tab, under Sharepoint Web Application Management section, click Crate or extend Web application link. c) In Create or Extend Web Application page, click Create a new Web Application link. Provide the information to create new web application and click OK button. Please see the image below. d) Create site under the above web application. To do this, in Application Management tab, under Sharepoint Site Management section, click Create site collection link. e) In Create Site Collection page, select the web application which have been created in the previous step and provide other information to crate the site and click OK button. Please see the image below. Now we created the web application and site successfully. Next section explains creating internet site. This section explains extend our web application to another internet site which has been created in the previous sections. This site is for anonymous or internet users. c) In Create or Extend Web Application page, click Extend an existing Web application link. Provide the information to extend the web application and click OK button. Please see the image below. Now we have successfully created extranet and internet site. Below is the URL for these sites. Open the browser and test both the site by typing the URL. But these two sites are asking about windows authentication because these sites are not yet configured to form authentication. Below section explains configuration of web.config file of each site with connection string and providers information. In this section, we are modifying the web.config file of two sites. Web.config file resides in the root directory of the site i.e. c:\Inetpub\wwwroot\wss\Virtual Directories. Under this, two folders i.e. 4040 and 4041 are available. Web.config file of specific site is available inside these folders. The web.config file of extranet site is available in c:\Inetpub\wwwroot\wss\VirtualDirectories\4040 folder. c) Save the web.config file. The web.config file of internet site is available in c:\Inetpub\wwwroot\wss\VirtualDirectories\4041 folder. The web.config file of Central Administration site is available in c:\Inetpub\wwwroot\wss\VirtualDirectories\13035 folder. To find the virtual directory open IIS. Under Web Site folder, find Sharepoint Central Administration v3. Right click to open properties. In the Properties pop up, click Home Directory tab and find the Local Path. Enabling Form Authentication to internet site using Central Administration is very simple. Below steps explains the enabling form authentication. a) Browse to Central Administration web site. Select Application Management Tab. Now we successfully enabled the form authentication for the internet site. To prove form authentication is actually working with our data store, we need to add the user to the site. Below step explains to adding user to site. g) Click on New à Add User. Now we created a user and granted the permission successfully. Below steps explains testing form authentication. Now we successfully log in into internet site with form authentication. 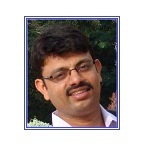 Nagendra Gunaga is having 5.8 years of experience in IT industry. His experience is in .Net Framework, C#.Net, ADO.Net, ASP.Net, SQL Server and Microsoft Office SharePoint Server.